Why do you get your oil changed, rotate your tires, or get check-ups on your vehicle? Do you change the filter or get your heating/cooling serviceman out for an annual check-up on your furnace? Why do we do these things regularly? The answer is for routine and preventative maintenance. We all like to prevent a problem before it occurs, right? This same principle applies to the roof of your house. Over one million dollars a year is spent on replacing roofs, when simple routine maintenance would have extended the life of the roof. Algae is one example of a roof issue that regular maintenance can prevent. If you notice dark spots on your roof, you may have algae. More than 75% of roofs have algae present, especially in warm and damp climates. Often, algae has been confused for sap, soot or rust. If algae staining is the only issue, you can get it professionally cleaned and it will extend the life of your roof by many years! Keep your roof and gutters free of debris. When coming home from getting your oil changed in your car just take a glance up towards your roof. If you notice some trees, shrubs, leaves, and debris, take an hour out of your day and clean it off. It’s better to only spend one hour of your weekend up on your roof verses all day. If you wait to do it once a year, you will be spending all of your Saturday doing it. Trim back any overhanging tree branches. Before heading up to clean off your roof, take a pair of binoculars and do a thorough inspection of any broken or missing shingles. With the help of a flashlight, inspect the wood decking under the shingles for any water stains. If you see signs of leaking, don’t wait to get it repaired. The longer you wait the sooner you will need to replace your roof. When using a ladder always make sure to have it on a level and sturdy surface. Have a spotter! The spotter will hold the ladder and make sure you get on the roof safely. Before getting on the roof you should make sure to have the spot cleaned off. If the surface is wet or full of debris, you have a greater chance of slipping. Check the weather before cleaning or doing maintenance on your roof. 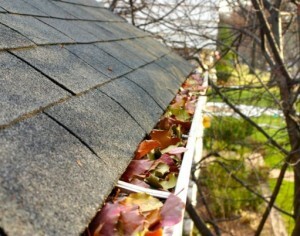 Don’t have time or energy to do preventative maintenance on your roof? Save yourself the headache of roof maintenance and hire a professional! 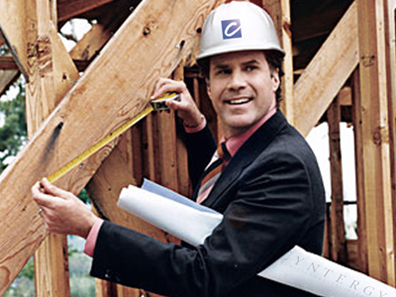 A local construction or roofing company has all of the tools and proper gear to work on your roof. Philippi Quality Construction is a local and experienced company that can help you with roof maintenance to ensure it lives a long life and does not need premature replacing. Spring in Wisconsin means the beginning of longer days in the sunlight, beautiful weather, and months ahead of spending more time outside than indoors. When the first day of spring comes, what do you think of? Enjoying the smell of the fresh air or the smell of the first time you mow your lawn? Spring is a great time to start planning your first cook out, enjoying a quiet dinner with your family after a long day of work, or even taking time out for yourself and enjoying the peaceful, brisk spring air with a good book. Finally, you can put the snow blower and snowmobiles away, and all of the other “toys” that reminds you of winter. What better place to relax and enjoy spring than in the comfort of your own home? There is nothing like enjoying all of these wonderful spring activities than right on your own, custom-built deck! 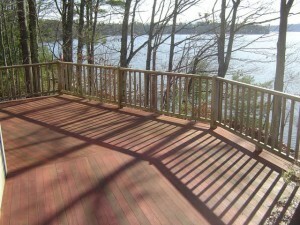 Now is the time to start the work on that “dream deck” you have always wanted. Designing your own deck is exciting, and it is a dream that CAN come true, with the help of experts like Philippi Quality Construction in Manitowoc, Wisconsin. 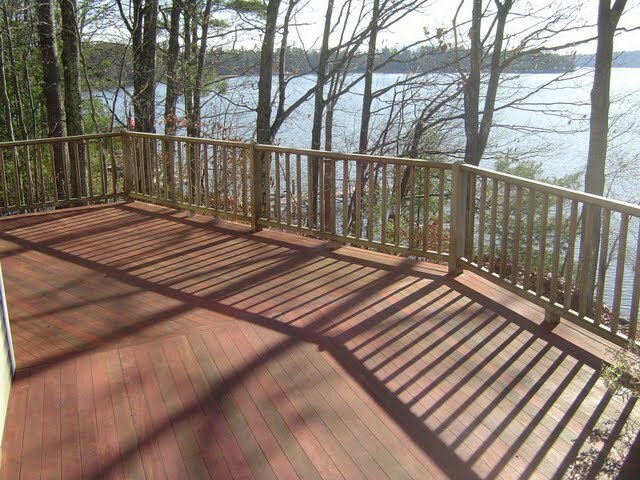 If you already have a deck, you may want to repair it or even add on to give it a new and better look. When designing a new look for your dream deck or your existing one, you can set your limit. 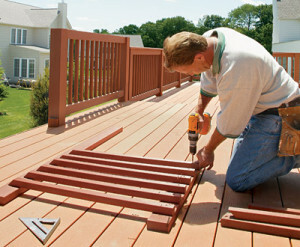 Constructing a deck can be simple; however, it still requires planning and preparation. The more you take the time to prepare and plan, the more you will get out of it. Always keep in mind that a local professional can help you along with the process of designing and building your dream deck. Do you want to save the time and frustration? You can have your spring in Wisconsin dreams come true and get the custom-built deck you’ve always wanted! Need and estimate? Contact Philippi Quality Construction for your free estimate! Because hospitals provide a wide range of services and are made up of many functional units, they are the most complex of building types. Hospitals have diagnostic and treatment functions, such as clinical laboratories, imaging, emergency rooms, and surgery; hospitality functions, such as food service and housekeeping; and inpatient care or bed-related functions. Good hospital design integrates functional requirements with the human needs of its varied users. This need for diverse functions is reflected in the breadth and specificity of regulations, codes, and oversight that govern hospital construction and operations. Each of the wide-ranging and constantly evolving functions of a hospital, including highly complicated mechanical, electrical, and telecommunications systems, requires specialized knowledge and expertise. Hospital design is also influenced by site restraints and opportunities, climate, surrounding facilities, budget, and available technology. All hospitals should have certain common attributes, regardless of their location, size or budget. An efficient hospital layout should promote staff efficiency by minimizing distance of necessary travel between frequently used spaces; allow visual supervision of patients; provide an efficient logistics system for supplies and food (and removal of waste); make efficient use of multi-purpose spaces and consolidate spaces when possible. Medical needs and modes of treatment will continue to change. Therefore, hospitals should follow modular concepts of space planning and layout; use generic room sizes and plans as much as possible; use modular, easily accessed, and easily modified mechanical and electrical systems; and be open-ended, with well-planned directions for future expansion. Patients and visitors should perceive a hospital as unthreatening, comfortable, and stress-free. The interior designer plays a major role in this effort to create a therapeutic environment. For example, this can be accomplished by using cheerful and varied colors and textures, by allowing ample natural light wherever feasible, by providing views of the outdoors from every patient bed, and by designing a “way-finding” process into every environment. Hospitals must be easy to clean and maintain. This is facilitated by appropriate, durable finishes for each functional space; careful detailing of such features as doorframes, casework, and finish transitions to avoid dirt-catching and hard-to-clean crevices and joints; and adequate and appropriately located housekeeping spaces. All areas, both inside and out, should comply with all standards and minimum requirements of Americans with Disability Act, and ensure grades are flat enough to allow easy movement and sidewalks and corridors are wide enough for two wheelchairs to pass easily. Hospitals have several particular security concerns, such as protection of patients and staff, hospital property and assets (including drugs), and also vulnerability to terrorism because of high visibility. Security and safety must be built into the design with these things in mind. Hospitals are large public buildings that have a significant impact on the environment and economy of the surrounding community. They are heavy users of energy and water and produce large amounts of waste. Because of this, sustainable design must be considered when designing and building hospitals. With more than 20 years of experience as designers and builders in healthcare facilities, Philippi Quality Construction understands that expanding your current facility or building a new one is the most exciting yet challenging endeavor your organization will ever experience. A successful hospital design and building project requires careful planning. Philippi Quality Construction’s team approach to architecture and construction eliminates problems by accepting full responsibility for the design and construction, resulting in a smooth experience. For more information about Philippi’s team approach to hospital building and design, go to www.manitowocconstruction.com. 1. Walk-In and Linen Closets – Efficient organized space is a must have! Having linen closets are another added design feature in demand. 2. Large Kitchen with Kitchen Island – A well planned kitchen with storage and several work areas is definitely in demand. Kitchen islands are designed to allow both food preparation and hang out space for family and friends. 3. Overall Energy Efficient Home – In today’s economy, having an energy efficient home is a no-brainer to reduce monthly costs and also to reduce dependence on fossil fuels. Energy efficient appliances and high-efficiency insulation and windows are the biggest factors to take into consideration. 4. Large Windows – Take advantage of the natural light (and heat source) from large windows. Just be careful; high arch window designs can be costly! 5. Ceiling Fans – Essential to bringing the ceiling heat down in winter and cooling in summer, and are particularly needed in the master bedroom and main living areas to reduce air conditioning and heating costs. 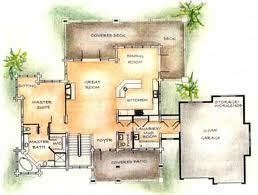 In residential home building and design, it pays to listen to your customers and what design features are must-haves. Philippi Quality Construction applies their team approach to architecture and construction resulting in a smooth experience.